Washington Times Reports: The Securities and Exchange Commission (SEC) charged a company cofounded by Paul Pelosi Jr. with fraud on Wednesday after learning that two convicted criminals were running the business. Paul Pelosi Jr., the son of House Minority Leader Nancy Pelosi (D., Calif.), was the president and chief operating officer of Natural Blue Resources Inc., an investment company he cofounded that focuses on “environmentally-friendly” ventures. The SEC charged four individuals with fraud, including former New Mexico Gov. Toney Anaya, and suspended trading in the company’s stock. Pelosi owned over 10 million shares in the company in 2009. The SEC said Wednesday the company was “secretly controlled” by James E. Cohen and Joseph Corazzi, both of whom had previous fraud convictions. Corazzi violated federal securities laws and was barred from acting as an officer or director of a public company. Cohen was previously incarcerated for financial fraud. This is pretty epic news because as Nancy Pelosi stalls any deals on the wall or immigration policy, a company co-founded by the son of Nancy Pelosi Paul Pelosi Jr. has been hit with charges of securities fraud by the SEC. Also hilarious that this company Natural Blue Resources founded by the the son of Pelosi to be hit with securities fraud, is involved in environmentally friendly ventures…Which again highlights the agenda of climate change is a fraud when companies involved in the agenda are getting hit with fraud charges by the SEC. 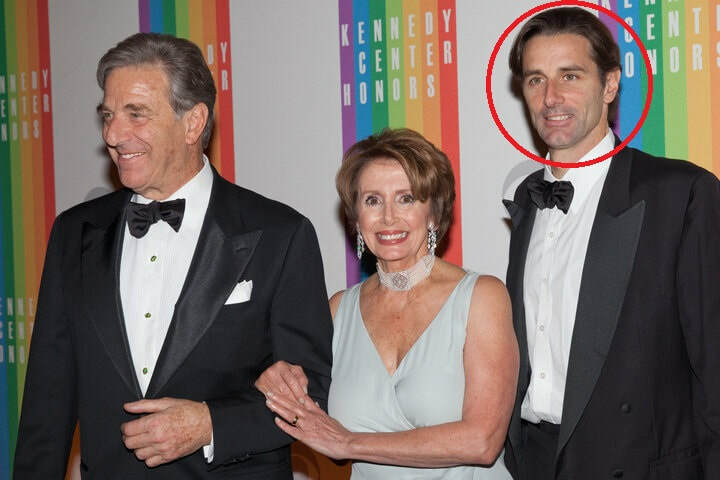 ​It’s likely this company founded by Nancy Pelosi’s son is very connected to dirty money, and while Democrats like Pelosi blame Trump for everything…The Pelosi family business just got charged for criminal fraud. This may be a flashback to 4 years ago, however this truly highlights the corruption in the Democrat establishment.